With up to 261 hp, 281 lb.-ft. of torque, and up to 6,720 lbs. of towing capacity, the latest model of the Nissan Frontier shakes things up in the compact truck segment. Check out inventory of Nissan Frontier trucks for sale in Boise and find truck deals to best the competition around greater Nampa and Meridian. Then, when you’re ready, reach out to Dennis Dillon Nissan to schedule for a test drive. 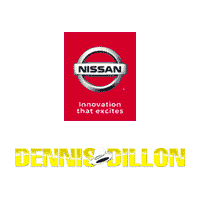 Why Choose Dennis Dillon Nissan? The answer is simple. Our No Risk Cars program offers drivers in greater Twin Falls an in-house warranty on vehicles that are less than 7 years old and under 75,000 miles and a money-back guarantee. When you choose Dennis Dillon Nissan, rest assured, you’re getting quality. Ready to get started in leasing or financing one of our 30 new Nissan Frontier vehicles? Simply contact us today.